Marketing Automation Growth is very difficult. Just ask any business professional, and they will tell you marketing is essential to a solid customer-brand relationship. So marketing also goes hand-in-hand with sales, which results in company growth. As the business expands, it becomes impossible to maintain personalized, valuable relationships with every single customer and prospect. This is when a marketing director is hired to build performance-driven programs that convert. Once the marketing director gets results, the company’s marketing program becomes too big to manage efficiently. Budgetary issues continue to come up. Precious resources of time and money are spent on repetitive tasks – email updates, social media posts, etc. So this is where marketing automation plays a key role in helping you continue to grow your business. Simply put, marketing automation is a subset of customer relationship management that utilizes software and web-based services in order to implement, manage, automate, and optimize marketing tasks and processes. It includes email, webinar, website integration, client profiling, lead scoring and generation, form building, page building, and even A/B testing. All of this means repetitive tasks, like email and social media updates, are replaced by software and applications. Which are specifically designed to enhance your business’ marketing performance. Marketing automation forms connections between multiple marketing channels, like social media, email, and content marketing. This ensures prospects are nurtured throughout the entire process, so your team is better able to focus on other goals. With marketing automation, sending personalized, targeted messages and emails becomes a million times easier. As a result, the communication between your company and your customer becomes much stronger, Your company is then able to focus on the quality of the marketing campaigns, rather than the quantity in which they are delivered. Furthermore, marketing automation collects data on a customer’s interests, behaviors, demographics, and goals, which your marketing team can then use to personalize future offers. The more relevant content is to a prospective buyer, the more likely they are to engage with it. By using marketing automation software, a single employee is able to send out hundreds of messages and can do the work of a large marketing and/or sales department. Within a short time period of implementing and using these automated marketing campaigns, your business will be able to automatically send out hundreds – if not thousands – of personalized, triggered emails each day. 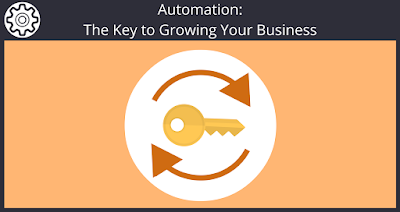 If you are a small business without a large budget to flex, marketing automation could prove to be solution your business has been looking for. By automating your sales processes and customer follow-ups, your business is virtually guaranteed to see an increase in customer retention. Combine this with better lead management and optimization, and there will be an evident return on investment. With marketing automation, it’s possible to create a consistent brand presence across multiple marketing and sales channels. Since it saves time and money – as previously mentioned – your marketing team is able to focus their efforts on expanding your campaigns to include emails, Facebook, Twitter, texting, mobile apps, and more. So maintaining a consistent brand will help customers identify your business and connect with you. People are far more likely to buy from a brand they know, and building that authority within your industry niche will ensure they do exactly that. There is also the added benefit of convenience. By making it easy for customers to interact with your business across multiple platforms, your visibility and audience reach will be able to expand. Marketing automation is all about optimization and, as such, is simple to use. So even the least technically-gifted employees will be able to use it with ease. Marketing automation software generally includes ready-made templates, simple editors, and valuable information that will guide through the entire process from creation to distribution. Employees do not need any coding, design, or other related experience or background. Rather than connecting with each individual lead, marketing automation allows your team to reach out to a potential lead from the very first interaction. Let’s say a prospective customer checks out your website and signs up for your mailing list. From there, you can connect with them right way with automated solutions. They receive a welcome message and confirmation notice, and then the client is person is guided through the entire sales funnel. With marketing automation in place, you can even offer discounts and surveys to your new customers. This will collect more data on their interests, so you can better personalize and target your messages and campaigns. Additionally, building customer profiles is more efficient with marketing automation. Since the automated solution is constantly bringing in customer information based on purchases, what they have viewed, and other behaviors, your team is better able to reach out to be customer in a more personalized manner. Even with its myriad benefits, it’s important to complete a full assessment of your business needs, staffing capabilities, staff skills and abilities, and your available financial resources before purchasing marketing automation software. What type of marketing automation software do you need? What are your marketing and sales goals? Do you have the staff available to implement this solution? What benchmarks do you have in place to measure the success of this automation? Do you have the financial resources available? Does the vendor understand your marketing needs? Have you seen all of the key features? Will it be easy to integrate into your company? Email Automation: With this, you are able to send out newsletters, design stunning campaigns, build solid relationships with your customers, and track the messages you send. Marketing Automation: This makes it possible to automate your marketing by using personal and behavioral data from your customers. This will help you trigger messages, calls, and actions as a means of maximizing your company’s marketing performance. Landing Pages: Through this, you are able to create and design eye-catching landing pages that convert – and in no time at all. They offer pre-made templates that make it easy to design your page with a simple drag-and-drop process. Marketing automation is the key to growing your business, regardless of size and industry.